4” 6” 8” and 10” round tiers. 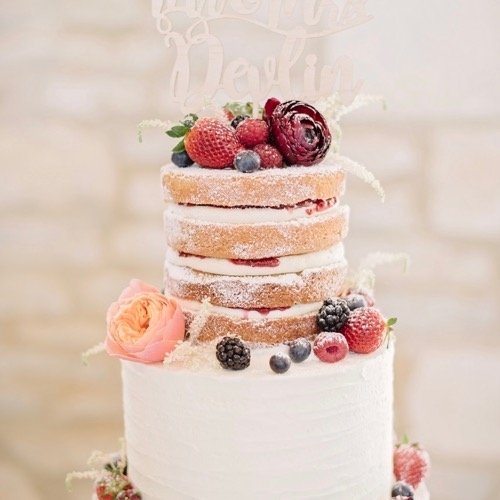 Top tier sprinkled with icing sugar, bottom tiers covered with rustic textured buttercream. 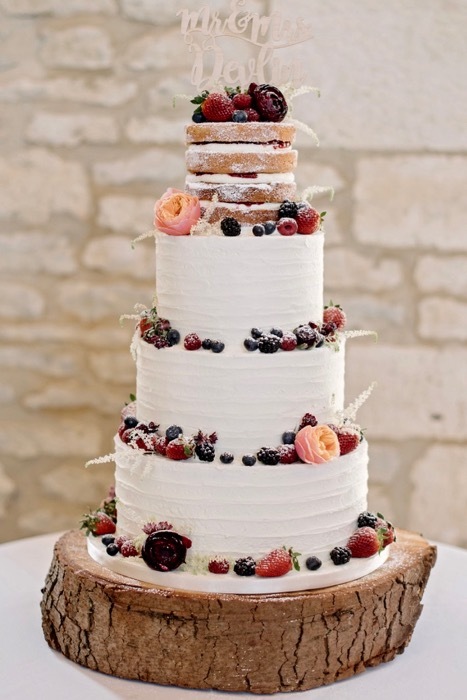 Decorated with sugar berries and fresh flowers.